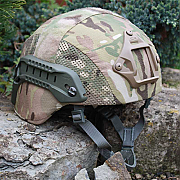 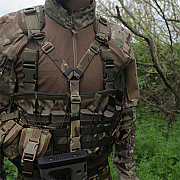 The Intelligent Armour Y-Sling is a lightweight, fully adjustable single point sling that enables the user to suspend a weapon with the weight of the weapon supported via the users armour or tactical vest. 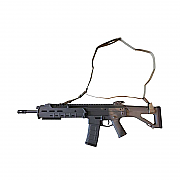 The IA Y-Sling allows for full adjustment by adjusting the weapon sling by either of its three adjustment points, this will give the user central and left and right bias and up and down. 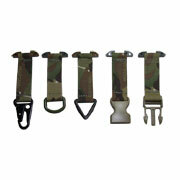 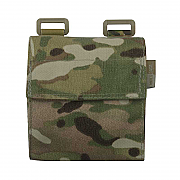 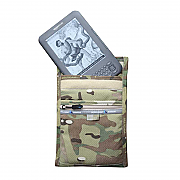 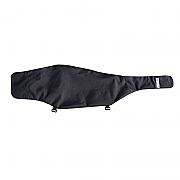 The IA 3-Point Rifle Sling is designed as an infantry or police patrol sling. 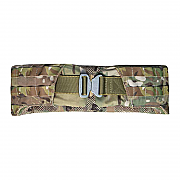 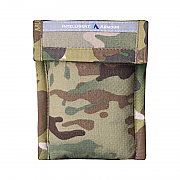 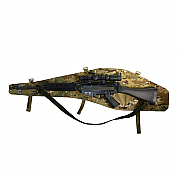 Made in the UK by Intelligent Armour, the 3-Point Rifle Sling is manufactured to full military specifications using only the best military specification materials. 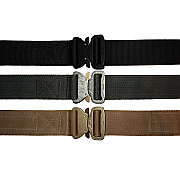 The 3-Point Rifle Sling attached to the front and rear sling loops and the quick release buckle is released to bring the rifle to aim. 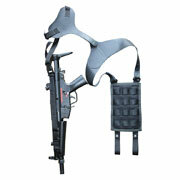 The 3-Point Rifle Sling can also be worn in the “released” 2-point position with the rifle at rest at the side of the user, for a “ready” yet non-aggressive stance.